The more I think about it, the more I feel the need to share this recipe. 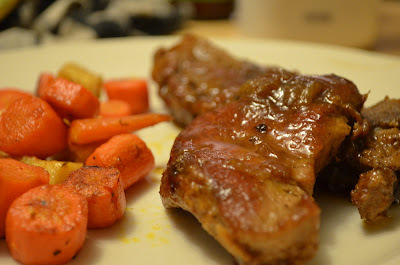 Once again from Food TV Magazine, Beer-Braised Country-Style Pork Ribs are really tasty. At first I was reluctant to share because it did require a fair amount of attention and I am trying to get people to cook more not turn them off. This is a perfect winter weekend dinner, you'll want to get it started earlier as it takes about 2 1/2 hours to cook. I'll be trying this recipe with chicken thighs next time. Get yourself about 4 lbs of bone-in country-style ribs and season them up with salt and paprika. 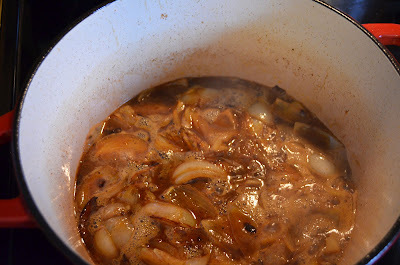 Once the meat is browned on both sides, brown some onions in that same Dutch oven, season with salt and paprika. So far so good right? Now you get yourself a nice bottle of amber. If there's beer involved chances are I'm going to like it. It only takes one bottle so you might want to crack one open for yourself while you're at it. Go ahead and dump that beer right in there with the onions. Scape up all that cooked on yummyness with a spoon while bringing it to a boil and reducing by half. Then you're going to toss in some herbs and chicken broth. Put the meat back in the pot and place in a 425 oven for an hour. Now you can work on that laundry you've been meaning to get to. So they will come out of the oven, have a fabulous sauce added, go back in the oven and back out again. Perhaps you're annoyed by all this back and forth business but I assure you, the only annoyance you will experience while eating these is that you didn't make them sooner. My parents are going to LOVE these. Pre-heat oven to 425. 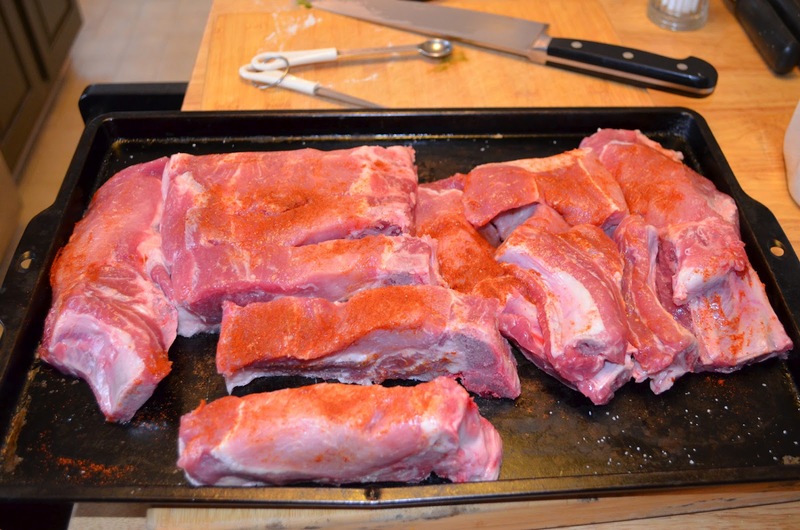 Pat ribs dry and season with salt and 1/2 tsp paprika. Heat the olive oil in a large Dutch oven over medium heat. Add the ribs in batches and cook until browned on both sides. Remove to a plate. Add onions and cook until browned, about 10 min. Add remaining tsp of paprika and season with salt. 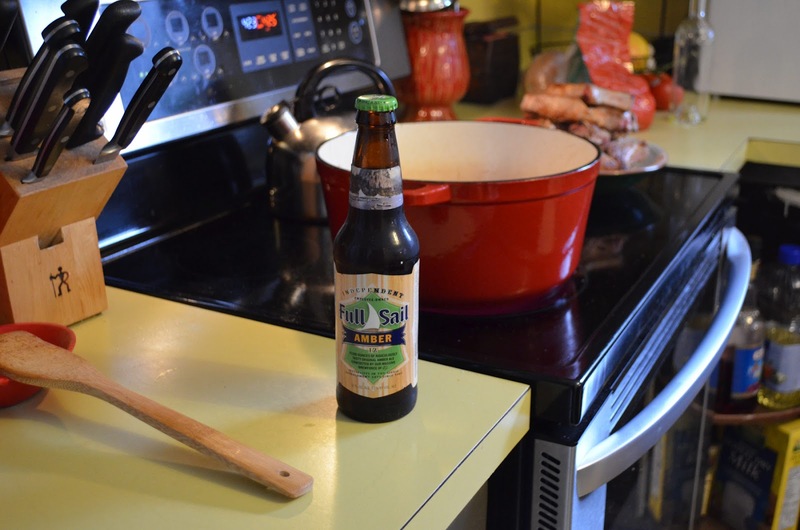 Add the beer; bring to a boil and cook until the liquid is reduced by half, about 8 min, scraping the up the bottom of the pot with a wooden spoon. Add broth, bay leaves and thyme. When the liquid begins to simmer, return ribs to the pot and transfer to oven. Cook uncovered, turning ribs once or twice, until meat is almost tender, about 1 hour. Mix the vinegar and honey in a measuring cup. Remove pot from oven and place on the stove top; bring to a simmer over medium heat. 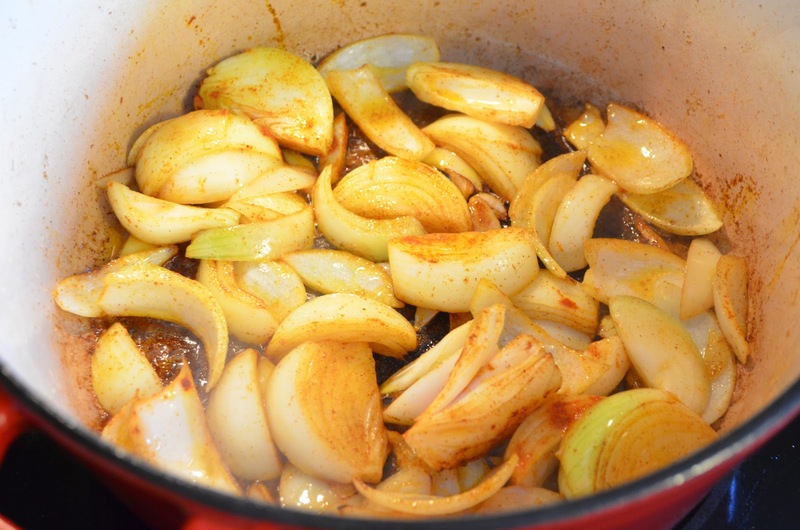 Add the vinegar mixture, bring to a boil and then return the pot to the oven (again). Continue to braise uncovered until ribs are tender, about 15 to 20 more min. Return pot to stove and transfer ribs to a plate. Bring sauce to a boil over med heat and cook until thickened (skimming off the fat) about 10 to 15 min. Discard bay leaves and thyme, return ribs to pot until warmed back up. Eat up! Serve these up with some roasted carrots and potatoes, maybe a green veg of choice. 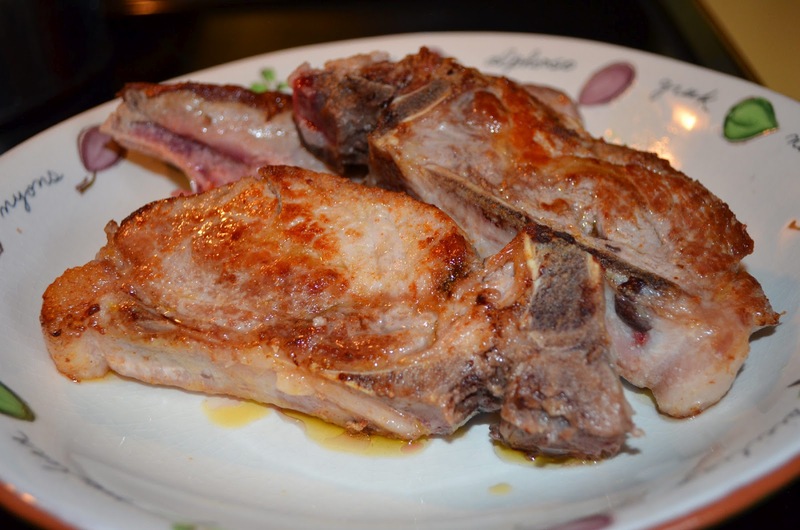 Plan on one or two ribs per person and load up on healthy side dishes. They really are delish!